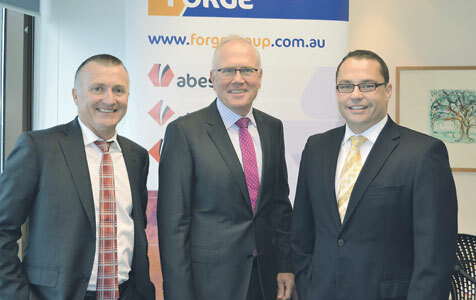 TRANSITION: Peter Hutchinson, David Craig and David Simpson in June 2012 during Forge Group's management transition. Photo: Grant Currall. In hindsight, Forge Group founder Peter Hutchinson was unwittingly prophetic when he spoke to Business News in June 2012, on one of his last days at the company. Explaining his decision to hand the reins to more experienced managers, Mr Hutchinson said he wanted to ensure Forge didn’t enter the “graveyard of mining services contractors that have come unstuck”. Unbelievable turnaround caused by non-performance management. What a complete managerial disaster. It is obvious now senior management had little or no understanding or control of the company at any level. I believe certain people need to be held accountable on their actions and announcements leading up to this financial collapse. I simply can not believe that executive staff were not aware of these matters well before announcing to the markets. It all seems too time line coincidental to accept how executive payments and strategys were presented. Let's see how corporate watchdogs scrutinise and advise disgruntled employees, creditors and shareholders.